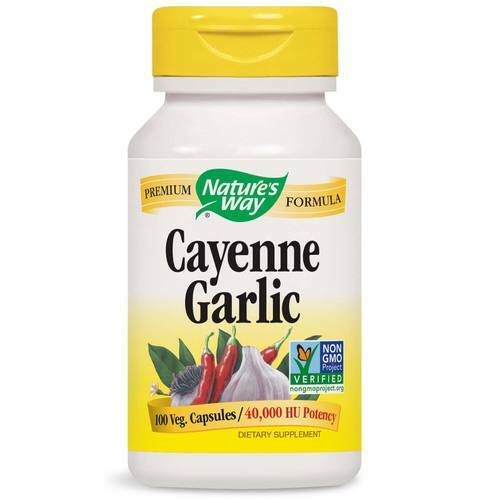 Nature's Way Cayenne Garlic is gluten free without sugar or dairy products. 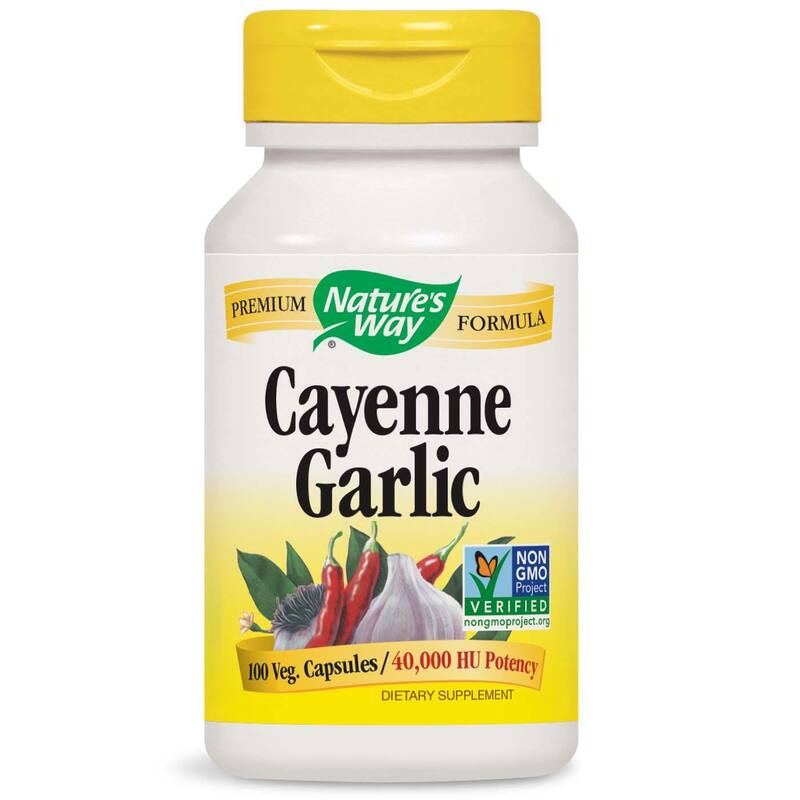 Advertências: DO not use this product if you have a bleed disorder, are taking blood thinning medication, or are within a week of any surgical procedure. If pregnant, nursing or taking any medications, consult a healthcare professional before use. Keep out of reach of children. Notas: Vegetarian. Gluten free. Non-GMO. 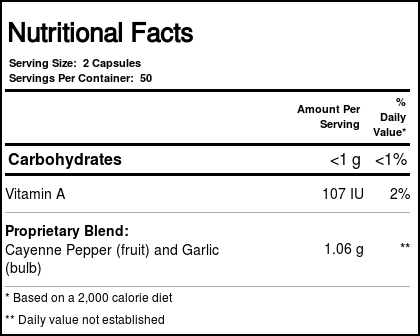 No sugar, salt, yeast, wheat, soy, corn, dairy products, artificial colors, flavors or preservatives. Recomendações de uso: Take 2 capsules three times daily, preferably with food.